Brick Ties provide a connection between the wood structure and brick facade. 7/8” x 6-9/16”. 22 gauge. 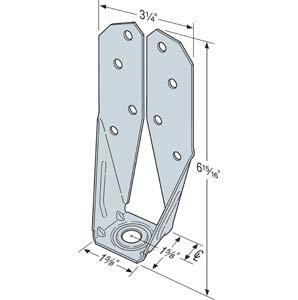 The DJT14Z Deck Joist Tie is designed to attach 2x deck joists to the side of 4x or lesser support posts. The DJT14Z can be installed with either nails or bolts. 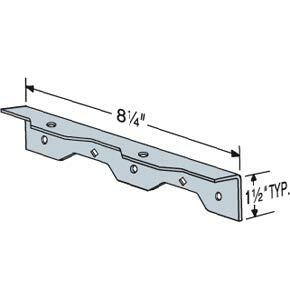 FB and FBR fence brackets make the connection between fence rails and posts simple and strong. Eliminates the need for toe nailing or screwing. Clean, versatile connections make planning and building fences, deck/porch railings and louvers easier and faster. 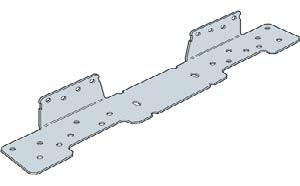 The HD2AHDG holdown has been tested as a lateral anchor for the guardrailpost connection.. 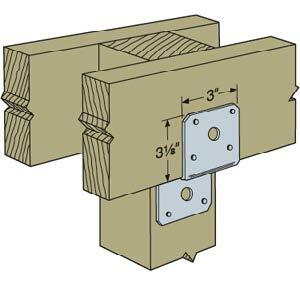 The DTT2Z is a safe, cost-effective way to attach deck-railing posts to the deck framing. The new LSCZ adjustable stair-stringer connector offers a versatile, concealed connection between the stair stringer and the carrying header or rim joist while replacing costly framing. 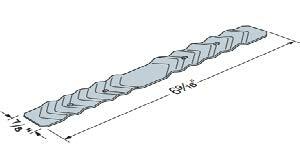 Field slopeable to all common stair stringer pitches, the LSCZ connector is suitable for either solid or notched stringers.